Oh how I love a good adventure. While I had dipped my toe into the wonders that Historic Downtown Orange had to offer, it was time for me to jump into the deep end. Thank you again to my "great and powerful" Thriving Mommy who decided one afternoon it was time to get 'er done and get exploring. I was pretty tired, but I never turn down the opportunity to find treasures. We packed up the babies and headed out. As usual, I wasn't disappointed. 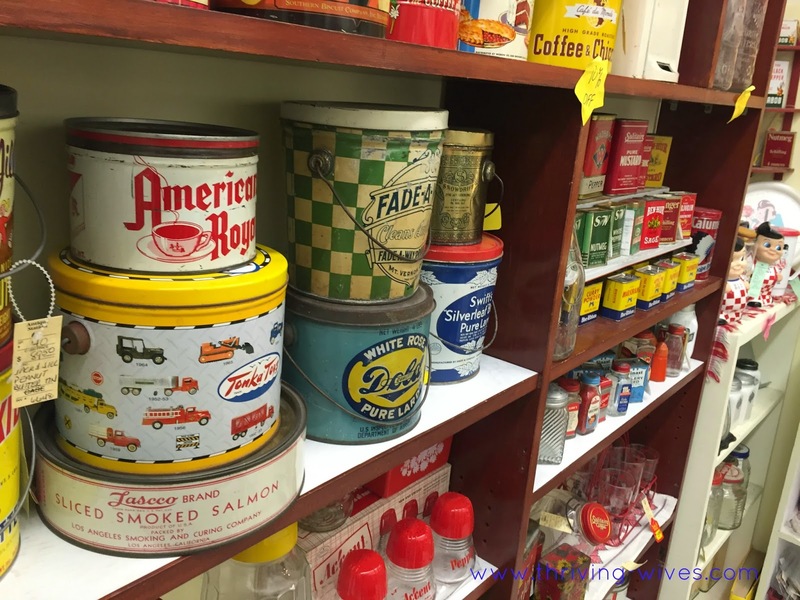 Around each corner was another, seemingly never ending, labyrinth of an antique store. 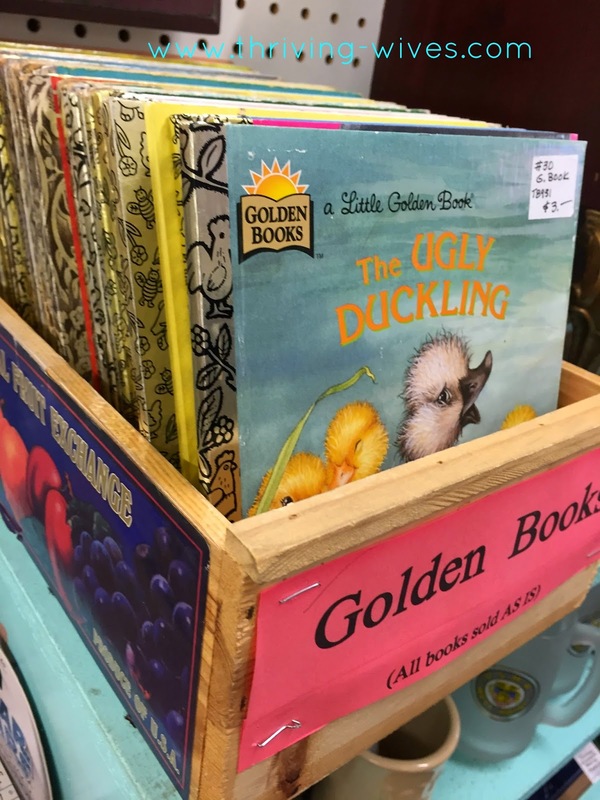 I wasn't sure what was more exciting, seeing all the things that I already had in the stores or seeing their prices and squealing that I had gotten it for half the price. My TM was equally as elated to see replicas of her precious belongings all on display. This shopping trip finally didn't leave me sick with adrenaline while trying to rationalize why I needed everything I saw. 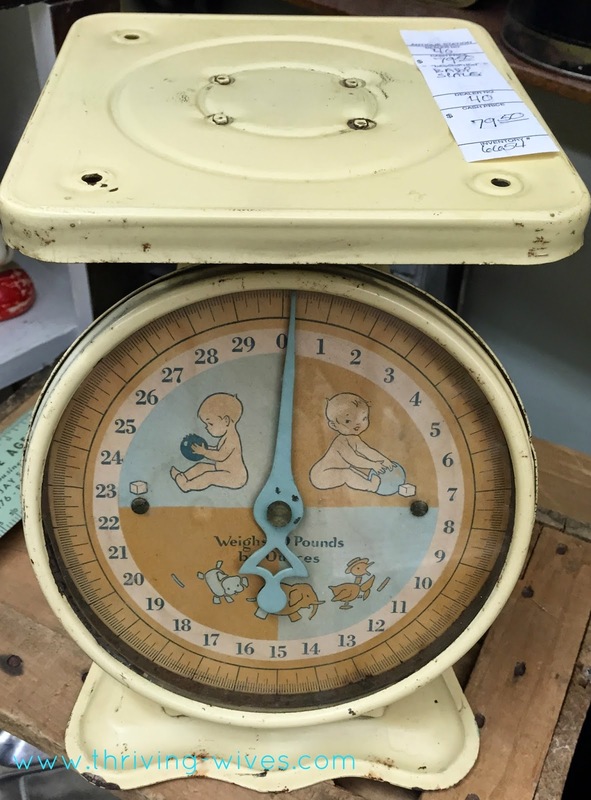 Even though I wasn't going to buy much (the prices were a bit high, as to be expected) it was a great afternoon for looking. 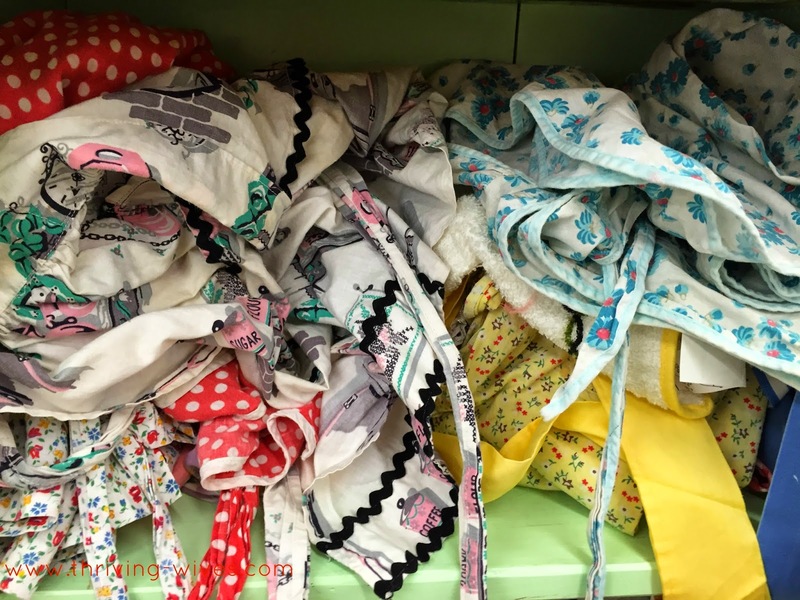 Nothing better than a pile of aprons to make you happy you have your own collection! 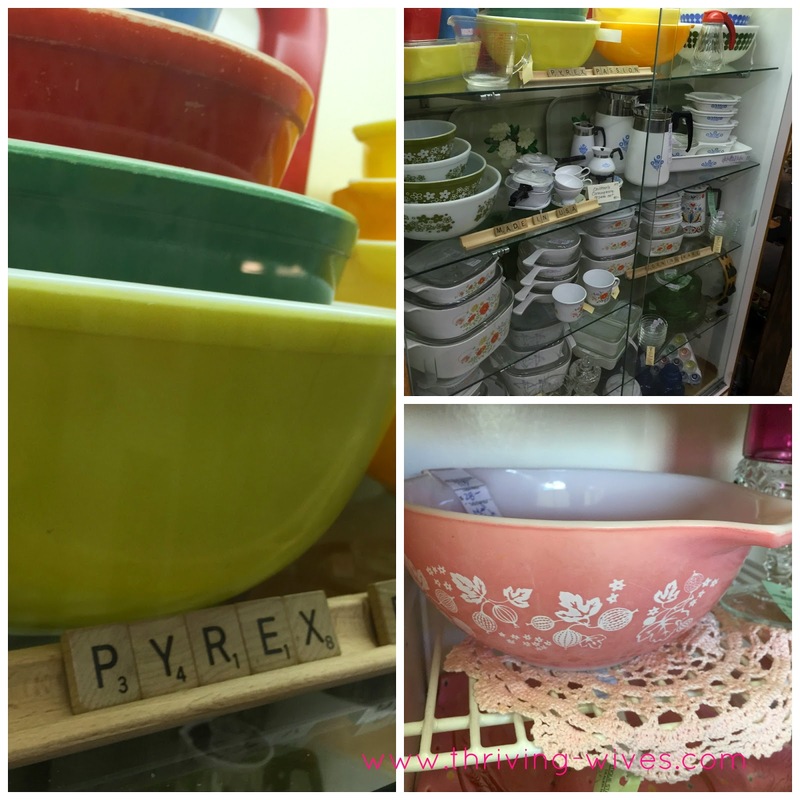 Pyrex party? I'm in!! 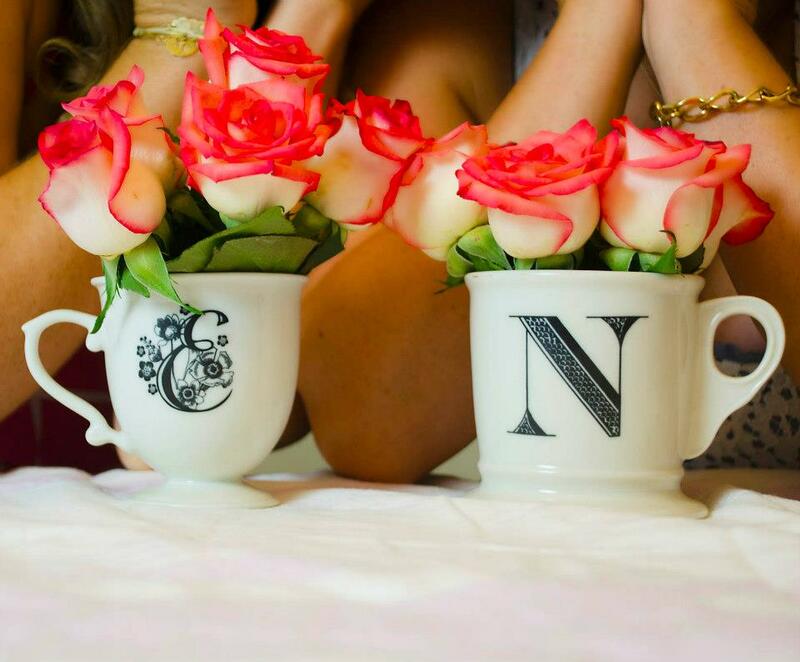 Nothing I love more than seeing my prized possessions on sale for more than double! 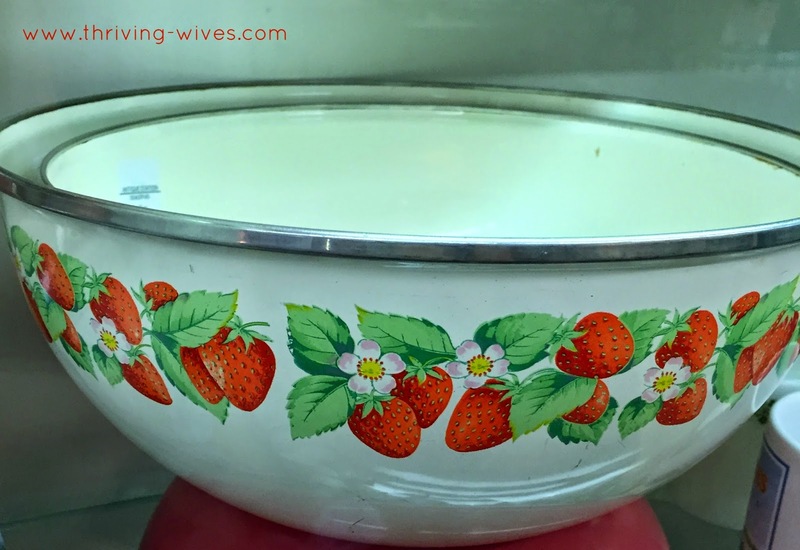 Strawberry bowl? The cutest! I was interested in adding these to my collection, but I know I can find them at an Estate Sale. 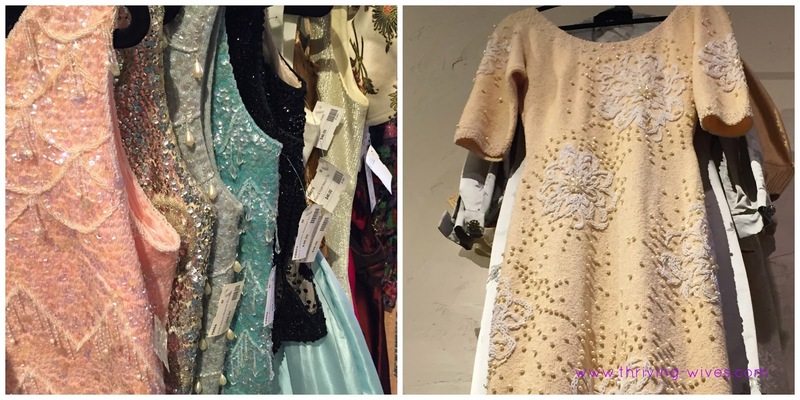 I was thrilled to see all my vintage sequined shirts on showcase and it made me want to run home and throw one on. 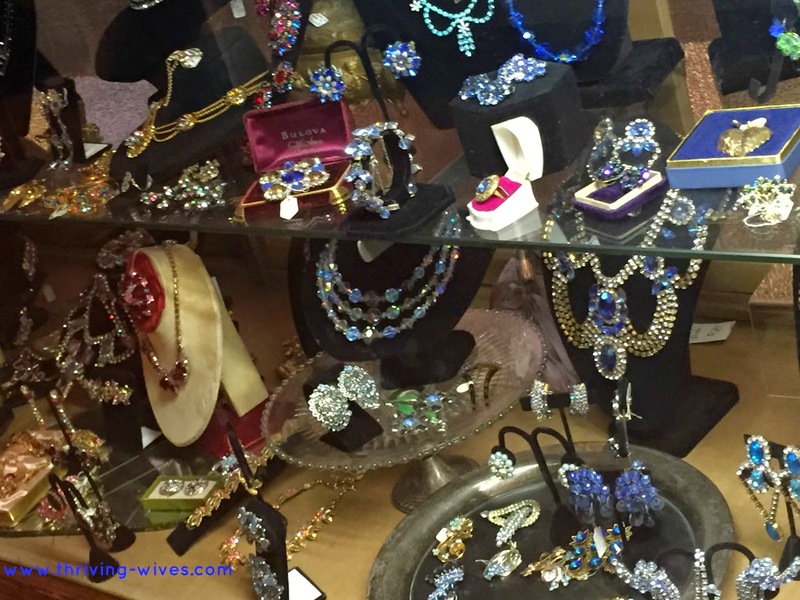 In need of some bling? This case caught my eye and made me desperate to attend a fancy party. 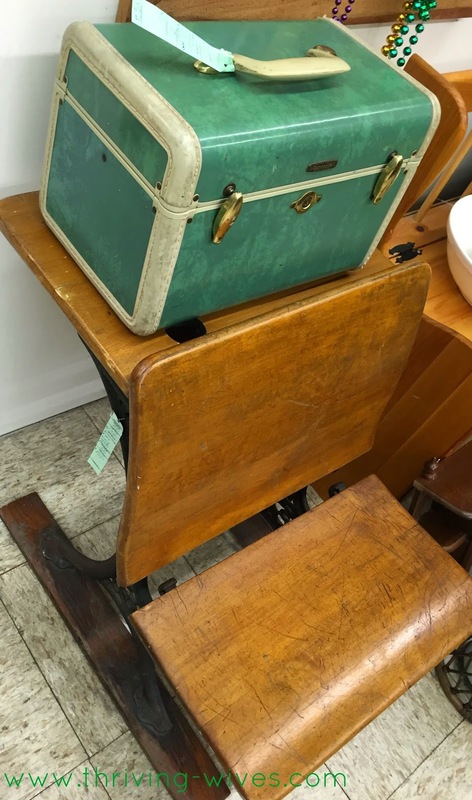 This old wooden desk and train case? These were high on my "want" list. 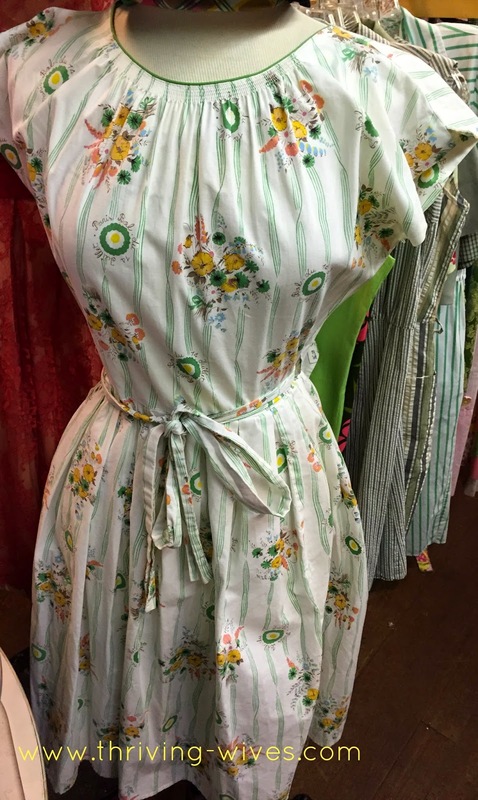 Fell in love with this vintage dress and decided then that I wanted only to shop in Orange for all my clothes. Lovely linens all in a row. 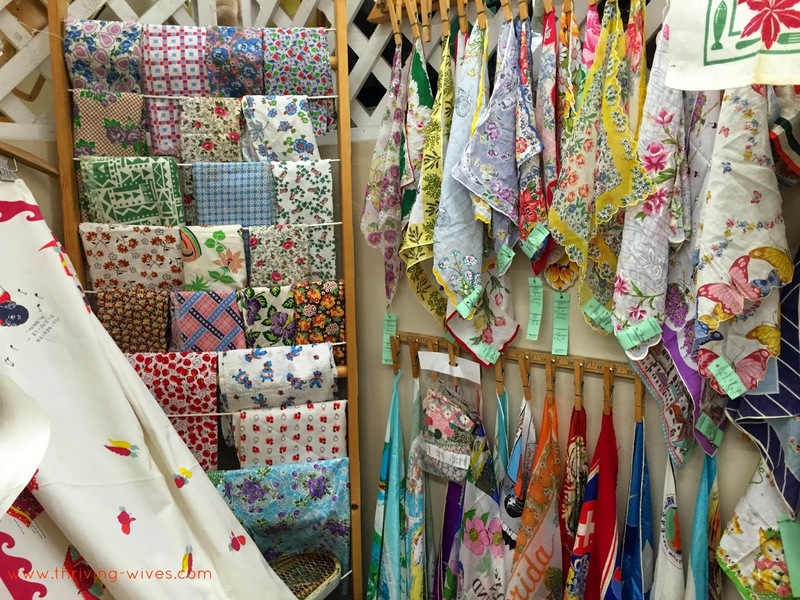 I enjoyed every color and pattern! 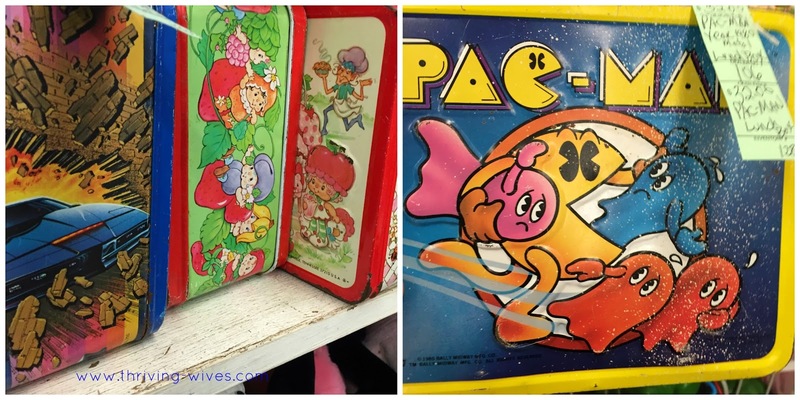 I can say, this visit to Orange inspired a new obsession...vintage lunch boxes. What a great idea! 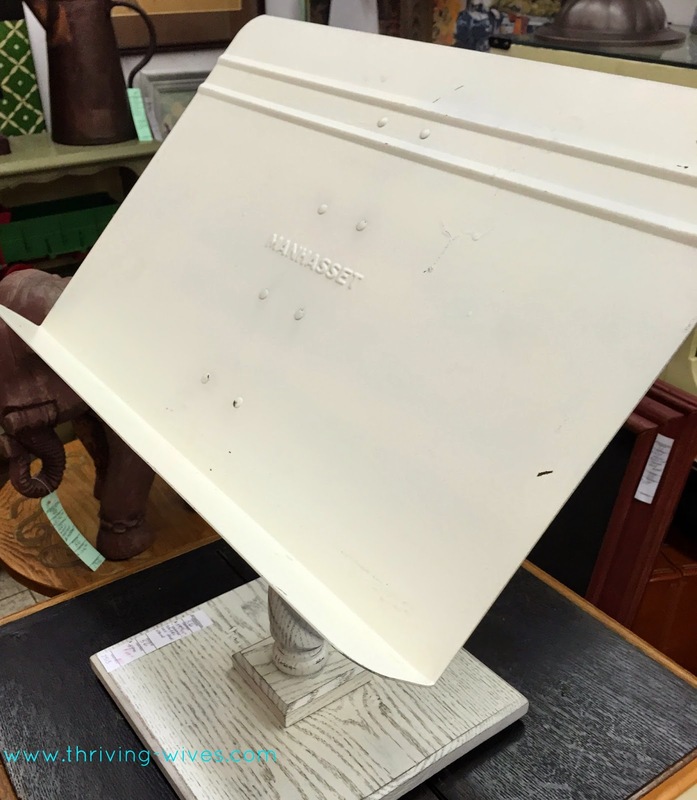 Old music stand turned kitchen friendly? I gotta get a cook book on that! Tin 'topia! This 1950's kitchen had me yearning to put on an apron. After a couple hours of looking around it was time to get a glass of sangria and a bite to eat. It had been a great workout wearing a baby for so long, but whew, were we tired! 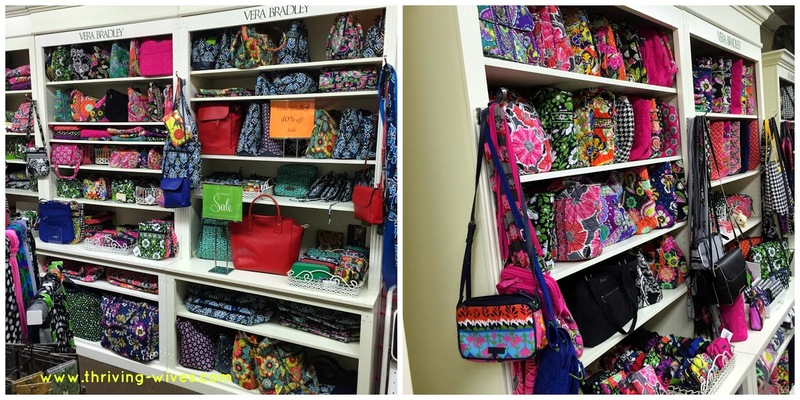 Just one last stop...a store had a FULL Vera section! No more online shipping costs for me, now I know where to go! If you are looking for a great walk and eye party, then head to Orange. 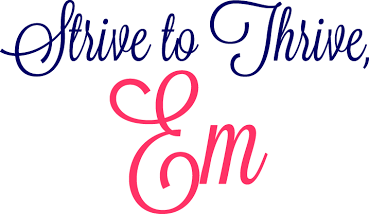 You may not leave with your car full of goods, but you will at least take away great ideas and maybe even find something new to hunt at garage sales and flea markets! 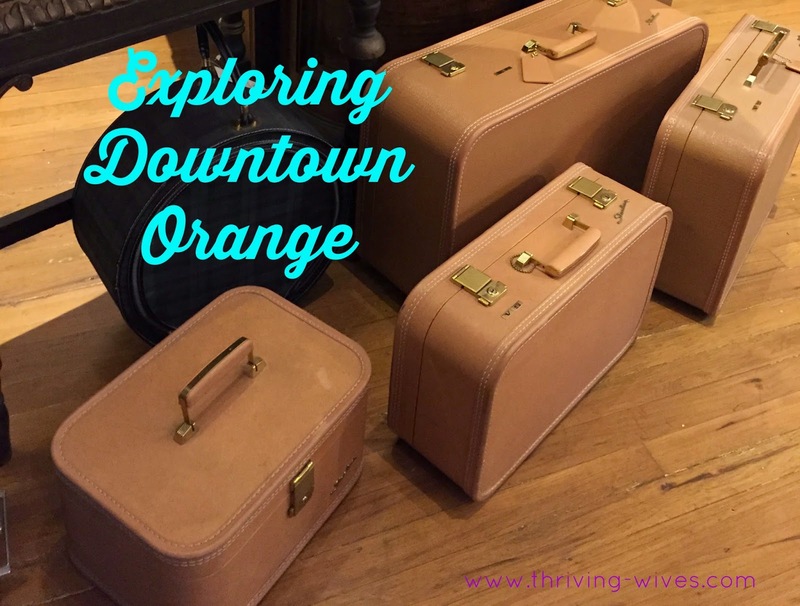 Have you been to Orange? What was your favorite part?